On a recent trip to France, my husband and I walked approximately 50 miles over the course of nine days. While I’m sure we could have walked much more, it was enough to make me think that I should have invested in a sturdy pair of walking shoes instead of relying on running shoes and orthopedic flip flops. Although I was well aware that you shouldn’t wear running shoes for walking, I thought it was more from a wear-and-tear standpoint than any biomechanical differences between the running and walking. I was wrong. 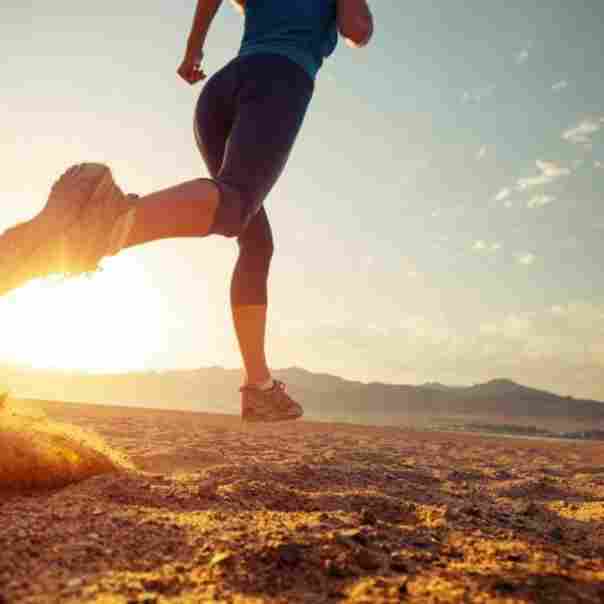 There two main differences between walking and running motions. The first is that the heel of the foot usually strikes the ground first during walking and the mid-foot or forefoot usually strikes the ground first in proper running form. The second main difference is that running has an aerial phase during which both feet are off the ground whereas walking does not. Given these differences in gait, foot strike, muscles utilized and energy expenditure, it makes perfect sense that walking and running shoes would differ based on the actions’ specific needs. As a general rule, walkers can wear running shoes for their walks but runners should never wear walking shoes for running. Here’s why. Cushioning – Since walkers impact the ground with less force, their cushioning needs are less than for runners. Running shoes require more cushioning since runners hit the ground with more force than walkers. More cushioning in the heel and forefoot are typical of running shoes. Heel Height -There is no need for a built-up heel on walking shoes since walkers strike the ground first with their heels. Running shoes with built-up heels provide more stability. Heel Flare – Walking shoes need no heel flare, which impedes the rolling motion of walking. Running shoes may have a flared heel to provide even more stability. 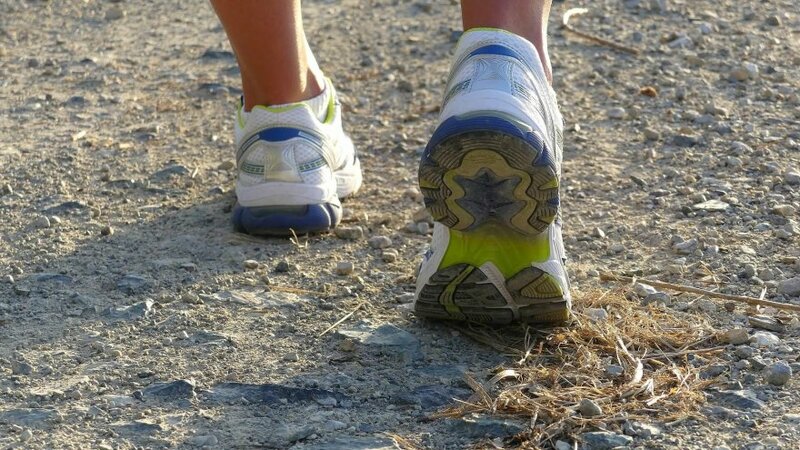 Flexibility – Walking shoes should be flexible at the forefoot since walkers push off with their toes. There should be no bending in the arch area because that won’t provide the necessary platform for good walking form. A shoe that has no flexibility at all is unacceptable. Running shoes need more flexibility at the arch or the mid-/forefoot. Sole – Walking shoes usually bend more easily than running shoes. Running shoes need more flexibility at the arch or the mid-/forefoot. Motion Control – Although available in some walking shoes, the degree of stability is not as great as in running shoes. Many running shoes offer extra stability that keeps the foot in a neutral position. Weight – Walking shoes are generally heavier than running shoes since speed is less important in walking. 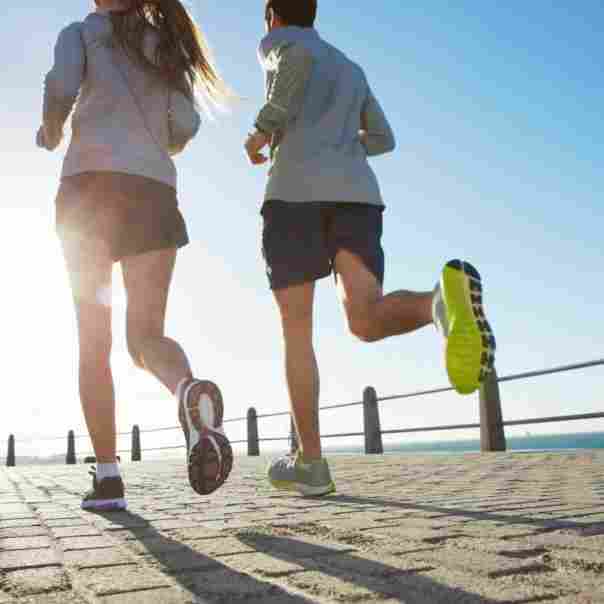 Running shoes tend to be lighter than walking shoes to allow the wearer to run faster. If you do a bit of both running and walking, a running shoe with less build up on the heel and no heel flare will best suit your needs. Shopping for running or walking shoes can be confusing. There are many different brands and styles. Staff in some of the larger mass-market retailers are interested in selling you the most popular shoe and maybe not the one that best fits your foot, activity or activity level. Smaller, independently owned retailers may offer more personal service and may be more knowledgeable about which shoe is right for you. EVA is a light and flexible shock-absorbing foam that is found in the soles of many walking and running shoes. Foot strike is the point at which your foot touches the ground. Walkers are usually heel strikers and runners are most often mid- or forefoot strikers. A heel counter is a plastic upright insert that can be found in the heel of the shoe, which reinforces the heel cup and can provide more stability. A last is the mold on which shoes are made. They can be straight, semi-curved or curved. It is easiest to tell the last shape from looking at the sole of the shoe. It is beneficial to match the last shape to your own foot shape. Medial support is synonymous with arch support. Walking and running shoes usually have some type of arch support and some are even removable. Pronation is when your foot strikes the ground on the outer edge of the foot, which can cause stress on the ankle and/or knee joints. A neutral shoe with extra stability can help lessen pronation. Supination is when your foot strikes the ground on the inner edge of the foot, which can also cause stress on the ankle and/or knee joints. Likewise, a neutral shoe with extra stability can help lessen supination. As the name suggests, a toebox is the area of the shoe that fits over and around your toes. It should be roomy enough in both height and width to allow some wiggle room. In general, people exercise in their shoes long after they should, sometimes waiting until the shoes start to look worn on the outside before replacing them. But the truth is that the soles, EVA foam cushioning, stabilizers and supports often start to break down before the outside wears out. For those who run every day, the general rule of thumb is that you should replace your shoes every 300 to 500 miles. For those who don’t run enough to count their miles or who walk a couple of times a week, your shoes can probably last as long as a year. 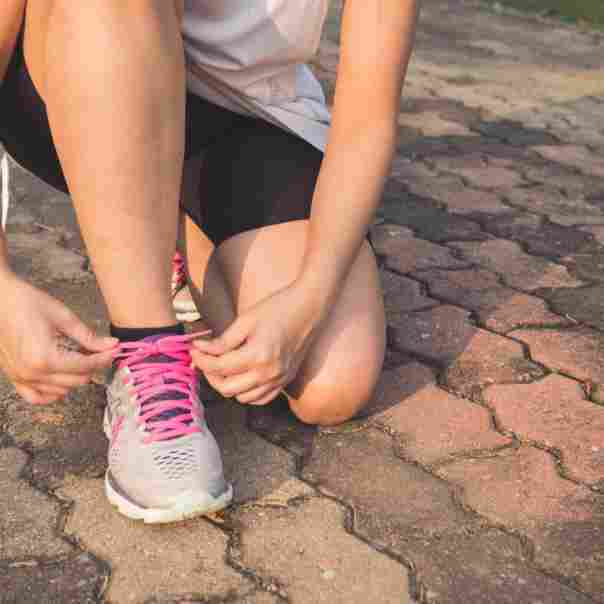 If you start to feel aches and pains in your knees, hips and back that you can’t attribute to other causes, you might want to check the lifespan of your shoes.